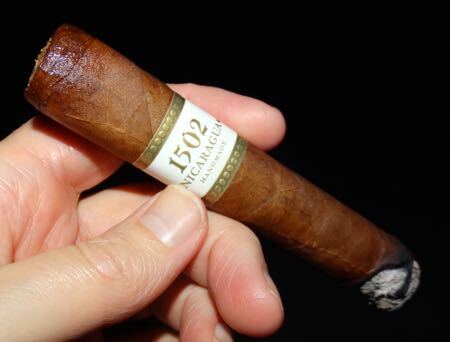 1502 Cigars are named for the year that Columbus “discovered” Nicaragua, so it’s perfectly fitting that a Nicaraguan puro has been added to the line. 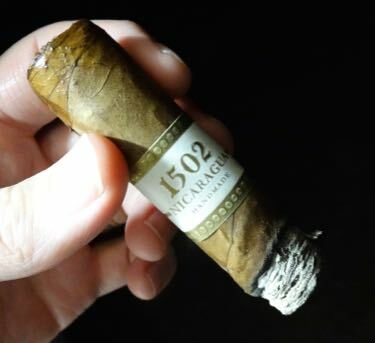 The 1502 Nicaragua fills out the quartet that includes the 1502 Ruby (previously reviewed here), the 1502 Emerald, and the 1502 Black Gold. The Nicaragua is a blend of tobaccos from Esteli, Jalapa, Condega, and the volcanic island of Ometepe which sits nestled in Lake Nicaragua. The cigar is produced at the Placencia factory in Esteli, Nicaragua, for Global Premium Cigars, and apparently only two sizes are in regular production, a 7 x 48 Churchill, and a 5 x 50 Robusto. 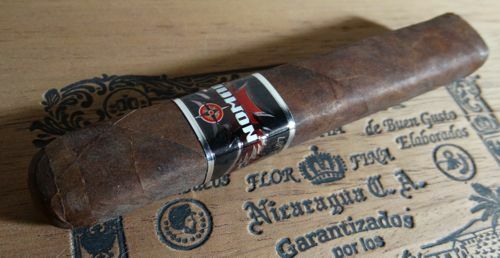 The 1502 Nicaragua Robusto arrives box pressed, with a semi-flagged foot. The colorado claro wrapper leaf is somewhat veiny but smooth. The head is slightly flattened, the cap is solid, and the draw is excellent. It lights easily, perhaps aided by the flags. It burns slowly, but unevenly, requiring a touchup or two. The ash is solid. The robusto opens with cedar and a dose of white pepper; in addition to the cedar there is a distinctly musky note. Cedar spice on the nose continues into the middle third of the cigar. Dry tannins on the palate combine nicely with spice and a touch of sulfur or gunpowder on the nose. This is a medium bodied cigar — smooth but not creamy — that builds from medium in strength to nearly full at the conclusion. 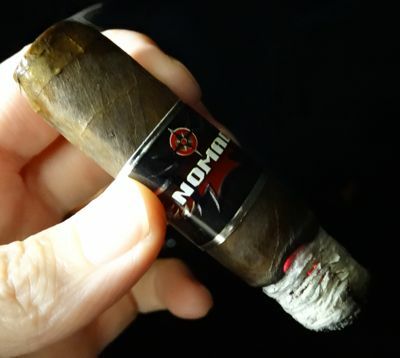 The spice on the nose and musky aroma continue into the final third of the cigar, which waves farewell with an earthy note and a flinty aftertaste. 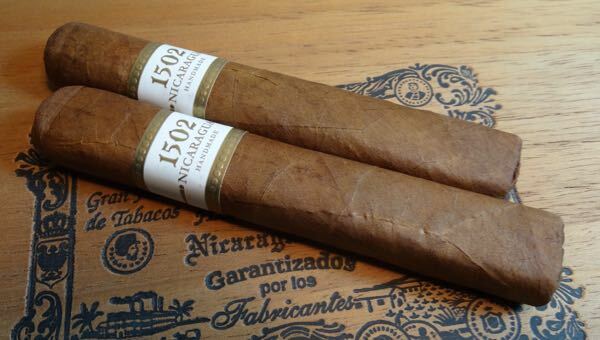 I enjoyed both samples of the 1502 Nicaragua, even though they seemed to me to have somewhat different qualities. I will attribute this difference to my own subjectivity rather than the cigar; I will simply have to smoke more of them to arrive at a more satisfactory conclusion. In any case, this is a fine smoke, and I will happily assume the burden of further examination. 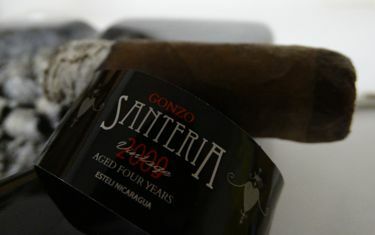 Both sticks exhibited a balanced cedary spice, a tannic element that develops into an earthy base flavor, and a smooth medium-bodied disposition. 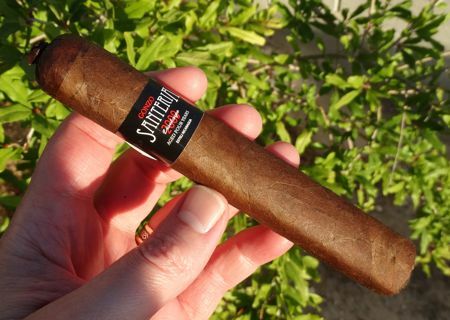 It’s not a powerhouse Nicaraguan, but it does exhibit some of the characteristics typical of great Nicaraguan smokes. 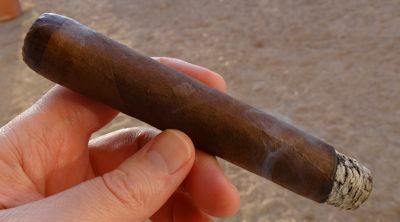 Singles of the robusto run around USD $6.50, which is pretty reasonable for a premium boutique cigar of this caliber. Details on the Carnavale are a bit scarce, but the cigar itself is a bit scarce: released in 2014, production was initially limited to 500 boxes per year, but then it was increased to 1000. 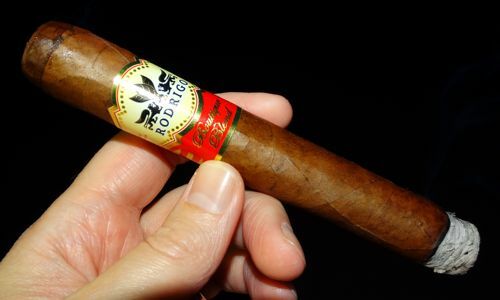 The cigar is made in Honduras for Epicurean Cigars and distributed by the House of Emilio. 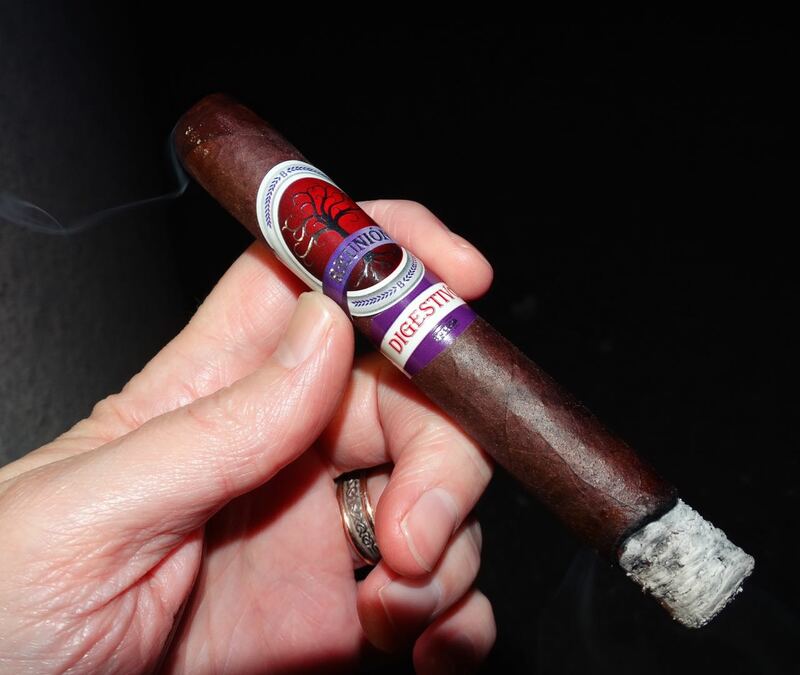 The Double Robusto is a smooth maduro-colored cigar with a somewhat garish band. This is obviously the cigar to be seen with on Bourbon Street. The cigar is square pressed with a double wound cap on a nearly flat head. 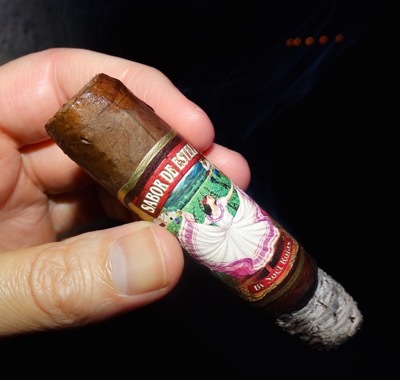 The cigar is very firm and the draw offers light resistance. The burn is slightly uneven, but not problematic. The wrapper on the Carnavale is an habano oscuro, but you could have fooled me. This cigar tastes like a maduro through and through. It opens with bittersweet chocolate and cedar on the nose, while grassy flavors entertain the palate. The smoke is very smooth, but also fairly dry. The flavors maintain their balance and complexity without too much transition in the second half, though the chocolate takes on more coffee-like characteristics and the light peppery spice evident in the first half builds and peaks in the latter half. 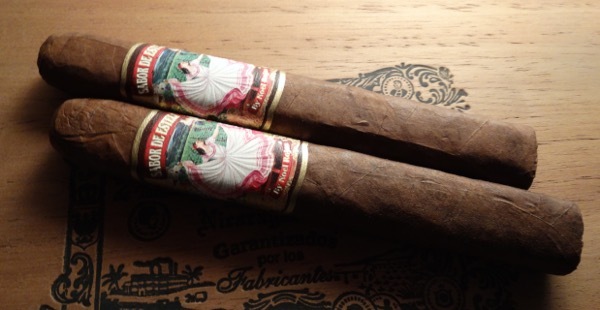 Both the body and the strength of the cigar land in the mild to medium range. When is a maduro not a maduro? When it’s an Epicurean Carnavale. 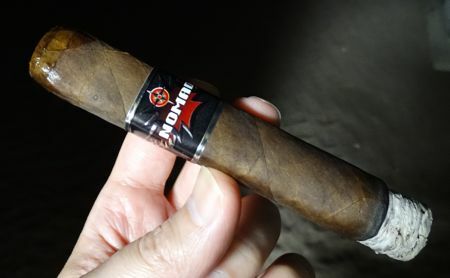 The Carnavale is a high quality maduro-style cigar that isn’t a maduro, but it sure smokes like one. 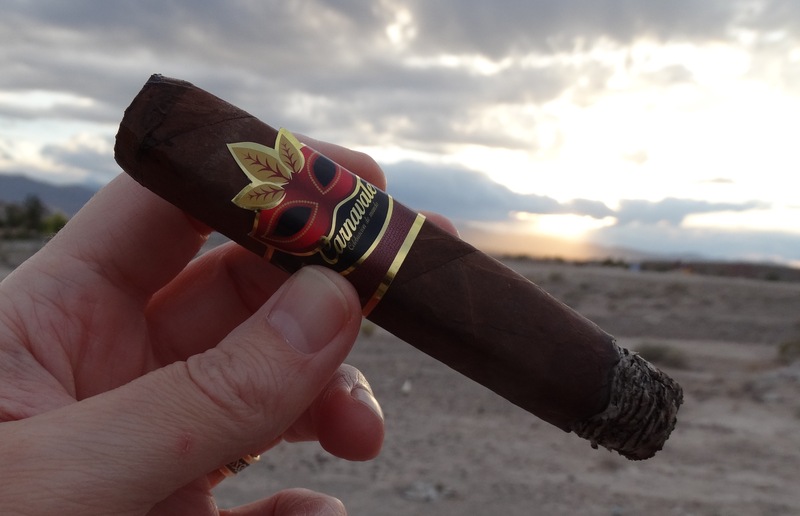 It reminded me of a lighter version of the Draig Cayuquero, an Emilio blend even scarcer than the Carnavale, but both cigars are worth seeking out. The Carnavale wasn’t quite the revelation that the Draig was, but it’s a fine smoke in its own right. If only the price were just as right — $10 USD. That’s a bit of a stretch for me. As it is, I’d still be happy to have a few on hand. Complex yet mild maduro (style) cigars aren’t all that easy to find. Bodega Premium Blends were launched in 2013 and are now distributed by the illustrious House of Emilio. The theme chosen to promote the brand is a common one in the cigar world: friendship, fellowship, and brotherhood of the leaf. For this review I smoked one of each in the Corona Gorda size. Both of these Bodegas are attractive and solid, with nicely finished, rounded heads. Both burn slowly, evenly, and leave a firm ash. The only difference in appearance, aside from the band, is that the Aperitivo has a dark colorado maduro wrapper with a little gloss to it, while the Digestivo looks like a more classic maduro. Overall construction: Independently and collectively excellent. As the preprandial cigar, the Aperitivo is a suitably lighter smoke than the Digestivo. It opens with some cedar and a shake of powdered sugar sweetness. The smoke texture is smooth, but not light. Despite the mellow timbre of the smoke there’s still some chew here. After the champagne has been drained and the capon consumed, the Digestivo arrives to put everything in place. It is naturally a heavier cigar, though the weight is concentrated in its flavor rather than its smoke texture or nicotine payload. The opening flavors are tangy, but still sweet — though not sweet in the light and floral manner of the Aperitivo. Licorice and cherry notes emerge at times through a spicy aroma. 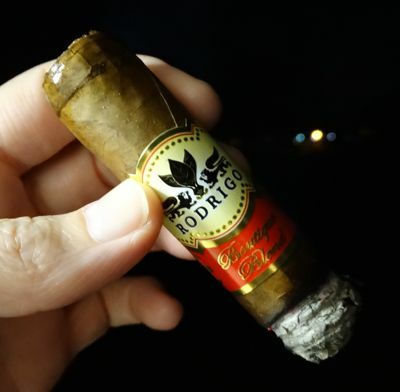 The flavor on the palate is crisp, almost minty, but with a Nicaraguan bite. Chocolate predominates in the last third, as the San Andres Maduro wrapper insists on having its say. Both of these Bodega Reunion cigars are excellent smokes, but I particularly enjoyed the complexity of the Aperitivo. With its mild aftertaste it fulfills its role as an aperitif, but it could also serve as an opulent morning cigar. The Digestivo is much richer, and more appropriate as an after-dinner smoke, but it also exhibits more complexity than the average maduro. Not to mention they both showed flawless construction qualities. But this complexity and quality comes with a price: $10 USD a pop. I liked the Digestivo just fine, but for a special occasion when a cigar before dinner is on the menu, I’ll be looking for the Reunion Aperitivo. 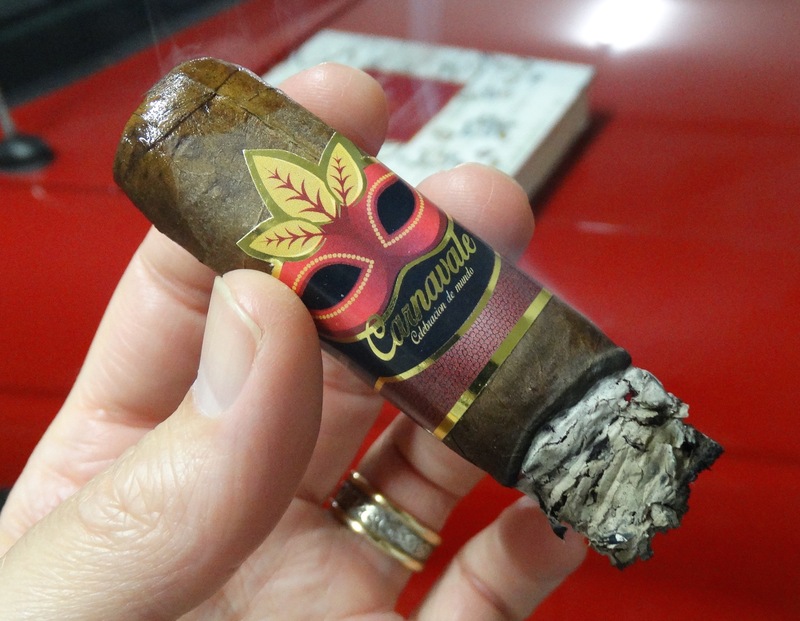 For another opinion, be sure to check out Jeff’s review of these blends at Casas Fumando.